Rules on how to dress are becoming obsolete; don’t mix patterns, your belt and shoe color must match, no denim on denim, and no white after Labor Day couldn’t be any less relevant today. Bold patterns, new styles of denim, and crisp winter whites and luxurious creams were on every runway, and now every street corner. One of the best investments you can make this winter is in a slightly oversized, chunky turtleneck. Ditch your outdated memories of 1990’s turtlenecks and fear of white pants and this look will brighten the gray winter days ahead. The style rules are officially out of style. Chapter understands what modern men are looking for, creating classic and simple looks with a subtle twist. 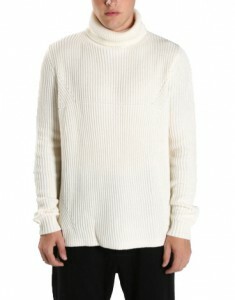 In the Olmes Sweater, they’ve designed a beautiful, thick-ribbed cotton and acrylic turtleneck. The neck is thick but the long roll-over allows for some breathing room, and the stitching pattern across the chest is the perfect design detail. Layered under a jacket or vest (or paired with jeans or comfy joggers), you’ll stay cozy all winter. 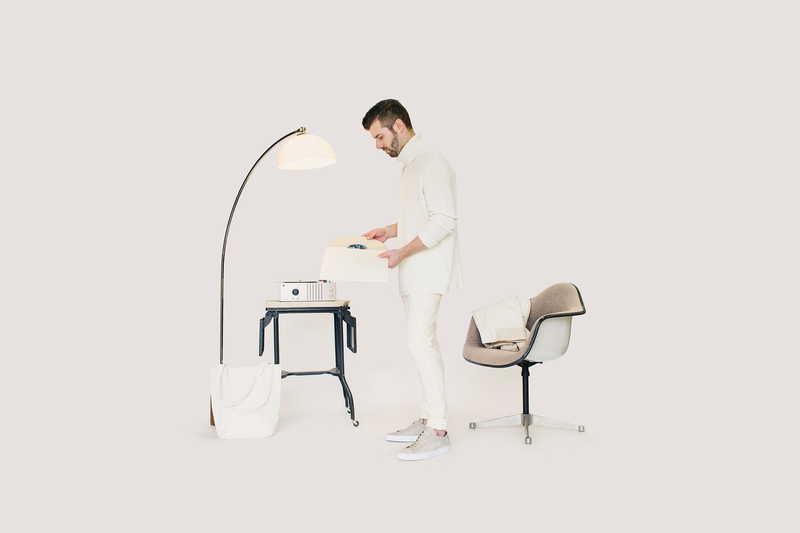 We’re excited to see more companies investing in and utilizing well-made Japanese denim. Naked and Famous develops their traditional styles using both old and modern Japanese denim practices, high-quality twills, and selvedge denims blended with silk and cashmere. This is the tapered version of their classic Skinny Guy fit, fitted from the waist to thigh and tapered from the knee to hem to a slim leg opening. Roll them up with a low sneaker on warmer days or pair them with a heavy boot when temperatures drop. Rain and sludgy snow make white shoes a bit more difficult to pull off this season. 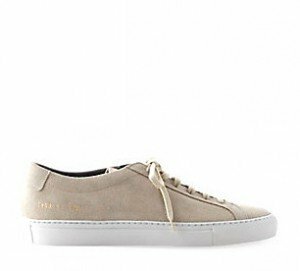 Our solution is the Exclusive Waxed Achilles Low Sneaker by Common Projects. The premium waxed suede and matte finish make it a bit more weather resistant and comfortable for all day wear.